Ask about our ENDLESS warranty! 100% Florida NEW price BEAT Guarantee!! LAST ONE COME GET IT!!! Sun Camper RVs and our sister store Atlantic Marine and RV are proud to be servicing the central and southern Florida market. Providing near wholesale prices on brand new campers and special deals on hundreds of pre-owned RVs. 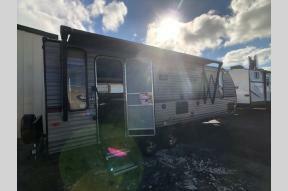 Whether you are looking for your first travel trailer or exploring the options to trade in your current RV for the features of a new RV, we will be happy to give you the family owned experience and walk you through the wants and needs process in search of your new home on wheels. 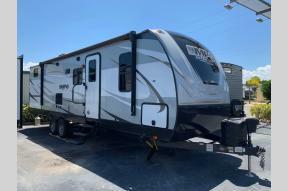 With one of the largest towable inventories in Florida we are able to offer you more than the competition and are happy to teach you along the ways why we have the units we have and the benefits of each travel trailers, 5th wheels etc. We have no-pressure sales centers. With the prices we offer, we know that you are getting some of the best prices out there. We are confident that you will agree. So, no need for pressure. If you want to shop a large selection of campers without the high pressure sales pitch, please give us the opportunity to earn your business. We also ship, if you are not close and would like the unit shipped to you please call a sales staff member for more details. We can have the camper delivered right to you for step and special pricing may apply. CALL TODAY! !